Isiama Afara, Abia State, Nigeria. He attended Library Avenue Primary School (which now forms part of Government House, Umuahia) and Government College. He then attended University of Nigeria Nsukka (UNN), but could not conclude his studies owing to the incessant strikes by the Academic Staff Union of the Universities (ASUU). However, he decided to travel to the United Kingdom, and London in particular, where he complete his tertiary education. Nnamdi Kanu is the Director of Radio Biafra, a London-based broadcasting station, very popular among the Igbos, spreading the ideas of the region’s independence. 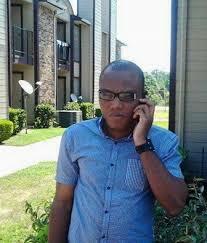 He is also known as the leader of the IPOB (the Indigenous People of Biafra). On October 18, 2015, reports made round, that Nnamdi Kanu was arrested in Lagos State of Nigeria by the Nigeria’s Department of State Services in his hotel room at Golden Tulip Essential Hotel Ikeja, Lagos State. When the Press Media broke the news of his arrest and detention by the Department of State Security, in Abuja, the news of the arrest generated mass protests across different parts Nigeria. On October 19, 2015, it was reported that Nnamdi Kanu was granted bail, after he was arraigned at the Magistrate Court, Wuse 11. Although the bail conditions were said to be stringent as the Certificate of Occupancy of a land within Abuja municipality, a level 16 officer in the Ministry were required to be produced before it can be perfected, Nnamdi Kanu's lawyer said that his client met the bail conditions in full. However, when they sort to get Kanu released, having met the conditions, they were unable to produce him. The lawyer Vincent Obetta stated that he has not seen or heard any place where a court grants bail and the person is not released. He further said that under the United Nations and Africa charter, it is stated that once bail is granted, the victim, meeting the bail conditions, has to be released. On Wednesday, December 16, 2015, Nnamdi Kanu was discharged by the Magistrate Court, Wuse Zone 2, Abuja, per Shuaibu Usman, on all counts of criminal conspiracy and ownership of an unlawful society filed against him by the Federal Government of Nigeria. On December 17, 2015, the Federal High Court sitting in Abuja, granted the leader of the Indigenous People of Biafra, Nnamdi Kanu, bail. In his ruling, Justice Adeniyi Ademola, said that Mr. Kanu should be released unconditionally while the case against him continues. The news of the release of Nnadi Kanu sparked-off Jubilations in Enugu, Onitsha and other cities of the Federal Republic of Nigeria.